The Serbian made many mistakes in his debut. This Wednesday Nadal debuts (15:00) against Bautista. Verdasco and Munar said goodbye. The King of the Earth is on stage this Wednesday at the 1000 Masters of Monte Carlo. Rafa Nadal will play against Roberto Bautista (2-0 in the face to face, both on clay) at about 15: 00 hours (#Vamos . A height test, "dangerous" in definition of the 11 times champion, for a return. The Spaniard returns after a month KO for the knee injury he suffered in Indian Wells. But before that, the king of the ATP, the number one Novak Djokovic, sweat blood today to overcome his debut. The Serb suffered more of the account and offered bad feelings at the start. Even so, he emerged afloat from a strange afternoon, in which he made many errors (38 unforced), before Philipp Kohlschreiber, who ended up defeating by 6-3, 4-6 and 6-4 in 2h: 36. The German veteran (35 years and 40th in the world) had beaten the number one in the third round of Indian Wells in March. The double champion in the Principality (2013 and 2015) was found soulless. But he did not manage to take advantage of the four break opportunities that the Serbian offered him in the first set or another four in the third and final (he reached 16 and converted four). And that was a slab for his aspirations to repeat the bell. He pardoned Djokovic, who ended up sneaking away to stay alive in Montecarlo, where he lives. Yes, in some sections the Balkan ended up so deranged that came to destroy his racket with blows against the clay. "The truth is that the defeat of a month ago was a bit on my mind", acknowledged Djokovic, that was franco: "If I want to go far in the tournament, I definitely have to improve my game". With the pass to the third round, which will play with the winner of the Taylor Fritz-Diego Schwartzman, he became the th player of the Open Era to reach 850 victories. Roger Federer (1.198) and Nadal are still active. 929), to which he aspires to equal the number of Masters 1,000 (33) to win at the Monte Carlo Country Club. 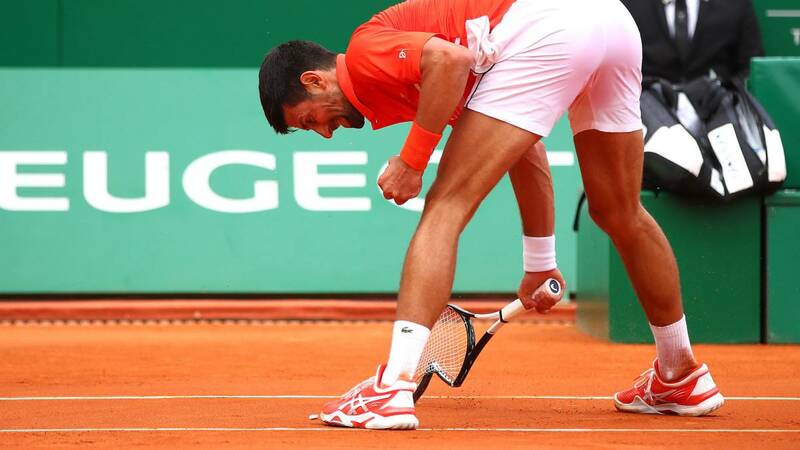 Second round: - Novak Djokovic (SRB, 1) to Philipp Kohlschreiber (ALE) 6-3, 4-6 and 6-4 -Borna Coric (CRO) to Jaume Munar (ESP) 6 (3) -7, 7-6 (7) and 6- PeluGuido (ARG) to Marin Cilic (CRO, 7), 6-3, 5-7 and 6-1 -Stan Wawrinka (SUI) to Marco Cecchinato (ITA, 11), 6-0, 5-7 and 6-3 -Lorenzo Sonego (ITA) to Karen Khachanov (RUS, 8), 7-6 (4) and 6-4.